The millennial business owner (MBO) has a unique view of their business than any other older business owner. They are confident in their vision and invest in it far more intensely. Most non-millennial owners are far more conservative in their risk to profit investments and entrusting to outside resources but can they learn from their younger brethren on how to take on challenges in their own growth of their business life cycle? The millennial business owner is committed to their business tooth and nail. And these millennial business owners mean “business”, 80% millennial small business entrepreneurs surveyed said they where in it for the long haul with a vision to pass it down to their children. Millennial entrepreneurs are focused and willing to go out on a limb financially to make their vision come to life. They take more risks in placing themselves in debt and taking on a gamble with themselves in bringing their venture into a profitable and sustainable business model. The root of this commitment stems from their belief that they want to ultimately control their lifestyle, where they work and how they work! Millennials want to have complete dominion over their flexibility in their daily lives and become their own boss. This type of philosophy drives them and creates the strength to leap over challenges they are faced with as they reach from startup to an upwardly growing business entity. What is the Millennial Business Owner’s Secret to Success? The secret lies in the millennial small business owner’s ideals and what they hold sacred in their business development and convicted commitment to making it work. Here are some of the cornerstones revealed in a recent study from Wells Fargo into their thinking and strategies as a small business owner or entrepreneur, which they prefer to be called over other less invested terms like consultant or freelancer. 63% viewed and accepted some amount of business debt as necessary for successful growth though conservative in risk level. The simple secret in this illustrated data is that the millennial entrepreneur seeks to not just build a thriving small business but to exceed that goal into a much bigger business venture. They are carefully selecting the best team of outside sources and resources to help direct and navigate them through financial decisions and smart strategic business choices that will bring them fruitful results. 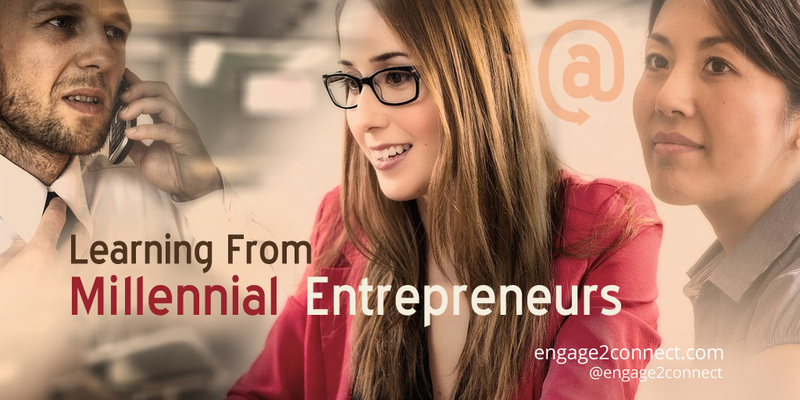 Millennial business owners view themselves as entrepreneurial business owners and not just a small business owner or consultant. This philosophy and active in task has attributed to earning them 1.5 times more revenue than the older non-millennials who perhaps restricted themselves in their thinking as business owners solely. Millennial business owners have crafted a well thought out business plan as well [44%] and are willing to place themselves in a reasonable portion of debt in both business and personal to reach their objective. These are just some insights to take into consideration that was succinctly extracted from the Millennial Small Business Owners (SBO) survey. In our review it is in no way geared as a stereotype to either millennial or non-millennial business owners. It is only detailed to enlighten those who are searching for an opportunity to advance ahead of their competition with their business but have yet to really discover what that catalyst to this change can be. In summary, we believe there is something to be learned by both groups (millennials vs non-millennials). The key relevance is that limiting your growth by not seeing things in the long run can hinder your growth but a sole business owner often does not have the skills or experiences to make well-informed decisions without bringing in the right resources under his umbrella. Equally a strong business owner also needs to be well-educated in financial management at some level so they can utilize well sought after helpful advice from financial advisers. In truth every business and company strategic direction is slightly different given all the specifics and individual components each business has but every businesses can gain from being well advised. Perhaps the millennial business owner is not schooling the non-millennial business owner at all. He or she has just opened the door to their secret sauce. You can’t do it alone and you need the right people to invest in and with in order to direct you to that next level of business achievement.